On April 25, 2018*, customers that have completed DNA testing through Ancestry.com can upload their raw data into a new 23andMe account and receive access to 5 reports free of charge. Ancestry Composition: Discover where your DNA is from out of 150+ regions worldwide. This report uses your autosomal DNA, so it includes both your maternal and paternal ancestry from the last ~500 years. Learn more about Ancestry Composition and the populations you might see in your results here. Your DNA Family: Your DNA Family will compare you to other 23andMe customers and tell you where your predicted relatives - those customers you are found to share DNA with - are located around the world, what ancestries you share, and the traits and behaviors your relatives are likely to exhibit. Learn more about Your DNA Family in this help article. Saturated Fat and Weight: Your genetics may give you insight into why you may weigh more than others when your diet is high in saturated fat. Muscle Composition: Some athletes have muscle composition that differs from other people; this composition can be influenced by both genetics and physical training decisions. Deep Sleep: Find out, based on your genetics, if you're likely to be an especially light or a deep sleeper. I’m already a 23andMe customer, can I still upload my genetic data from Ancestry.com? Yes, however, you’ll need to create a new account* in order to upload your genetic data. Why are my ancestry percentages different? It’s not uncommon to receive varying results between different ancestry analyses. This is because different companies may use varying reference data from a number of sources. The 23andMe Ancestry Composition report uses reference datasets from over 10,000 people. These reference individuals include a large number of 23andMe customers who have consented to participate in research and have shared information about their family history, as well as publicly available data from the Human Genome Diversity Project, HapMap, and the 1000 Genomes project. Using these reference datasets, our Ancestry Composition report will tell you what percent of your DNA comes from each of 31 populations worldwide. It can be expected that your assigned ancestry assignments will be slightly different from data generated by Ancestry.com, however, you should see that when looking at your assignments more broadly - at the continent or region level - will be similar. For information about our reference datasets, visit the Scientific Details section of your report. You can also learn more about Ancestry Composition and the science behind your report in the Ancestry Composition Guide. Will additional reports be available in the future? We do not have plans to expand Discover23 to include additional reports at this time. If you are interested in receiving all of the reports included in either the 23andMe Ancestry Service or 23andMe Health + Ancestry Service, you will first need to purchase a 23andMe kit. You can find a full list of the reports we offer and place an order here. I see that I have close relatives in my Your DNA Family report. How can I find out who those relatives are? With Discover23, you have access to Your DNA Family, which may reveal that you have close relatives in the 23andMe database. To learn more about your relatives, and share reports and message them, you’ll need access to DNA Relatives. To participate in DNA Relatives, buy a 23andMe kit here. I didn’t create an account on April 25, 2018. Can I still upload my data? No, this was available for one day only. We may expand Discover23 in the future, so stay tuned for more information. Does 23andMe accept uploads from other services? No at this time, Discover23 is limited to customers of Ancestry.com. Create an account* here. Note that accounts can only be created on April 25, 2018. Download your raw data from Ancestry.com. Upload your raw data from Ancestry.com to your 23andMe account. Your raw data will be a zip or text file. Wait until your 23andMe reports are ready to explore. We’ll begin generating your reports as soon as you complete the upload process and will send you an email when they are ready to view in your account online. 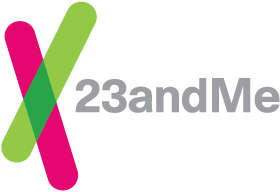 *Your 23andMe account must be created on April 25, 2018 to receive access to Discover23 and 5 complimentary 23andMe reports. Once an account is created, uploads can be completed at a later date. **23andMe's services are for informational use only. 23andMe does not provide medical advice. The services are not intended to diagnose any disease or condition or to be used to make any medical decision. If you have concerns or questions about what you learn through 23andMe, you should contact your physician or other health care provider.